Red Joan has the genteel feel of an old-fashioned Sunday night television drama. It is perfectly respectable but the focus is soft, the peril is mild and the pulse is rarely raised. Director Trevor Nunn's first cinema feature in over 20 years takes its inspiration from the life of Melita Norwood, an octogenarian English widow who was exposed as a longstanding Soviet spy in 1999. 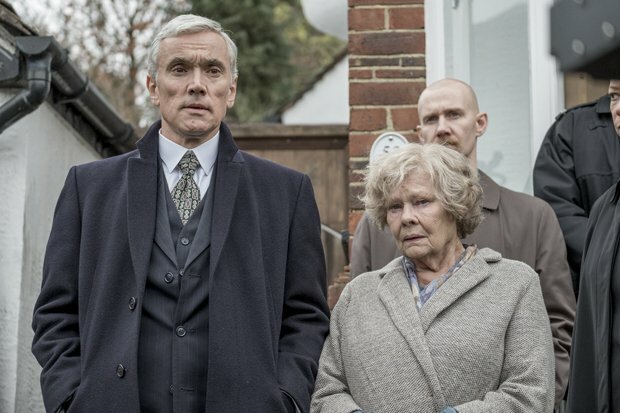 Red Joan begins as sweet old lady Joan Stanley (Judi Dench) is arrested by Special Branch officers and charged with breaking the Official Secrets Act. The film then retreats to 1938 when the young Joan (Sophie Cookson) arrives at Cambridge and is beguiled by the radical politics and exotic allure of Russian contemporary Sonya (Tereza Srbova) and her cousin Leo (Tom Hughes). Travelling between the past and present, Red Joan contrasts the frail, vulnerable Joan's protestations of innocence with growing evidence of her culpability. Love, idealism and the desire to change the course of world history all play a part in the decision to betray her country. Unfolding in a plodding, pedestrian manner, Red Joan finds some obvious humour in attitudes towards well-educated women. Joan has a first-class degree in physics but is often assumed to be a secretary or someone who will make the tea. The film finds more substance in the family relationships between Joan and her husband Max (Stephen Campbell Moore) and her lawyer son Nick (Ben Miles) who leaps to her defence without any awareness of the facts. Dench captures a sense of Joan's befuddlement and the steely resolve that lies behind the mask. It is a characteristically thoughtful performance, but she is given little time to dig any deeper in a film that fails to find the nail-biting drama in these intriguing real-life events.